This clip is old enough to be from a Myspace-themed skate video. 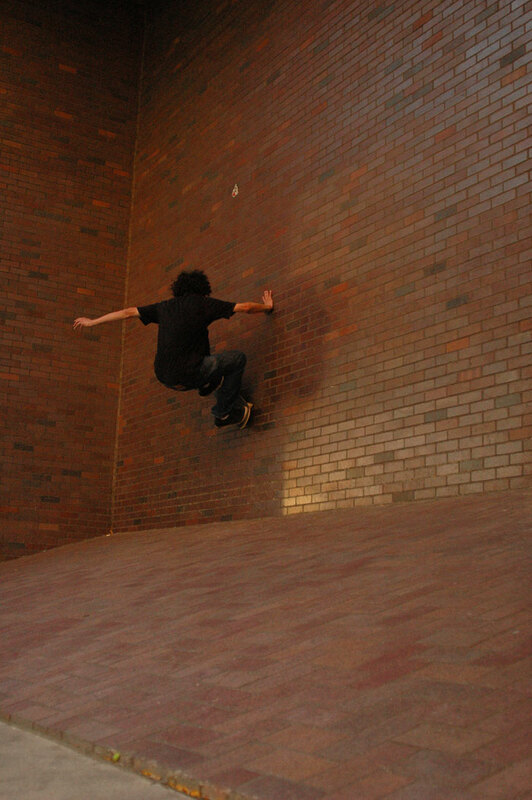 Jason Katz, frontside 5-0 frontside bigspin at a now-defunct spot. Myskate, 2005. We have a new friend in the skate blog community this week, please do us and yourself a favor and check out our friends over here. Frontside wallrides are so in right now. Speaking of, we're hearing rumors about The Brooklyn Banks coming back as a skateable spot, anyone heard confirmation on this? Hair consultant Paulmer Johnson poses with two of his latest clients. There's a new ramp in Northeast Minneapolis where some heavy sessions are going down. Minneapolis shredder Vinnie Nanthavongsa is in talks with an exciting new beverage sponsor. Stay tuned for details. 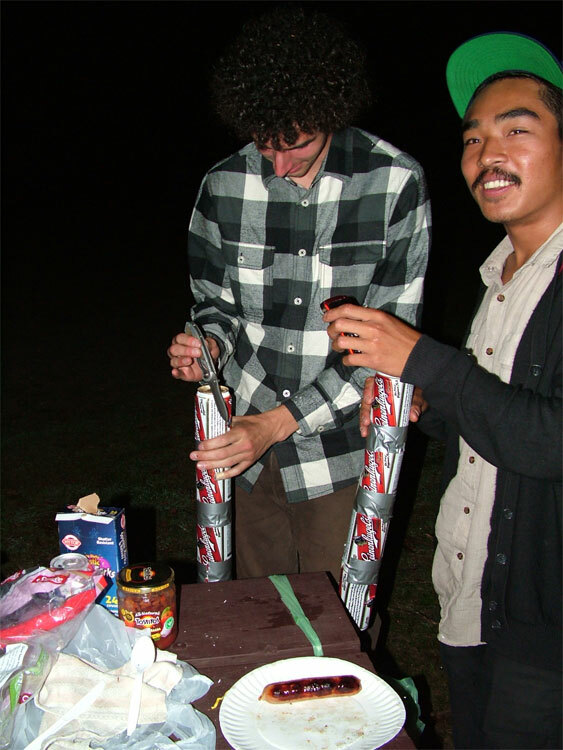 Lastly, it's important to remember that on or off a skateboard, the best times are always had with some good friends.